Rumors Audi product, spied test mules, and prototypes. Our spy photographer sources have just sent us over a new set of shots of the R8 e-tron test mule of which a few photos surfaced yesterday. Photographers tell us this mule rounded the Ring quite quietly though we're checking to see if it was employing any of the e-sound elements that Audi defined recently. Autoblog has posted a story this week that includes at least two sets of spy photos of the upcoming facelifted R8. One set shows a black coupe and the other (partially seen above) shows a grey roadster. We've got a new set of Q5 spy photos from our spy photographer sources and these latest shots reveal new details. What you see here is what appears to be a non S-line version with very little disguise. Look closely and you can clearly see the hexagonal grille with no fake framing and what appears to also be the new lighting clusters with solid LED style housings. Supposed Audi R8 e-tron Interior Spy Photo Surfaces. Could Reveal R8 Facelift Interior. Two photos (one above, one via the link below) surfaced this week of what is purported to be the interior of the R8 e-tron. 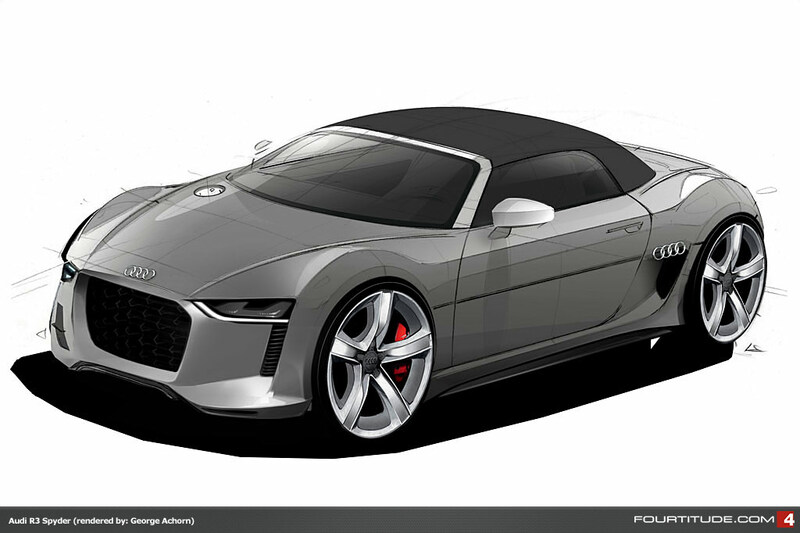 If that is the case (and we're guessing it is), then this begs the question of how much of these changes will also be seen in the new and facelifted audi R8 when it debuts likely at the Paris Motor Show in September.